Find out just how easy it can be to turn photos into a collage! 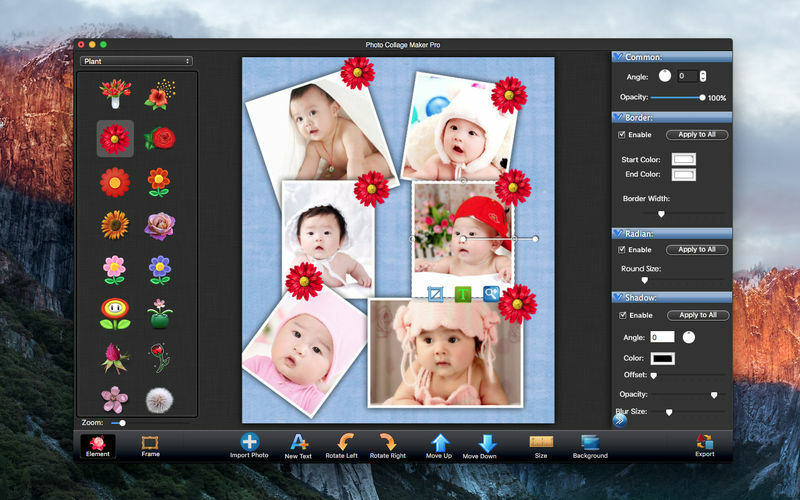 Picture Collage Make Pro allows you to create photo collages, scrapbooks, greeting cards, photo calendars, and posters quickly. 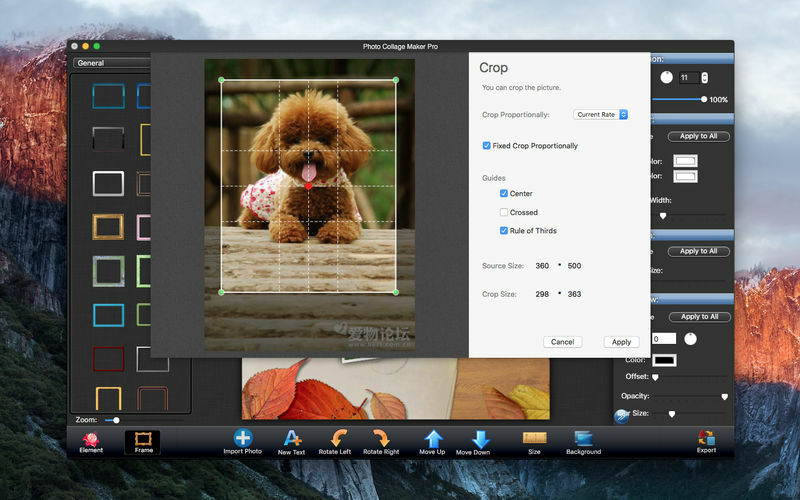 With an intuitive interface, create stunning picture collages on your mac. You can sharing these self-made collages with your friends and families. It comes with three categories exquisite templates (Layout, Holiday, General) with which you can make artworks for birthday, wedding, holidays and any other special moments in your life. You can custom the template and save template for future use. Whether you have extensive experience or no experience in photography, you can make your extraordinary photo collages quickly and easily. Step 1: Choose one template from template library to start your work. Step 2: Import photos and adjust your collage (If need). Step 3: Export your collage. Various Templates help you to extend your creativity by designing creative photo collages, greeting cards, scrapbook, posters, photo calendars, and photo albums, etc. Add exquisite text to collage. Create collage in any custom size. Pan and zoom pictures within their frames. Import local image or choose color as background. Create Landscape or Portrait collage. Provide fine frames and elements for your collage . Add exquisite frame for every photo. Rotation angle, Radian, Zoom, Shadow. Add exquisite text for every photos. Custom picture borders with color. Add some exquisite collage template .